Propel has introduced the first in a series of special edition laser battling drones available this Christmas on shelves the first week of December. The hand-finished, individually numbered Star Wars ships provide just a glimpse of what is to come in 2017. The T-65 X-wing Starfighter, a 74-Z Speeder Bike from Return of the Jedi and this, Darth Vader’s TIE Advanced X1, will be the first of the drones available, giving new pilots the chance to fly for either the Empire or Rebel Alliance. The highly advanced piece of machinery packed into a form factor the size of your palm contains intelligent awareness technology that allows for several different types of highly accurate multiplayer aerial laser battles, ushering in a new era of gaming – Drone Gaming. As well as flying to speeds above 35 MPH in less than three seconds, a unique flight control algorithm enables special manoeuvres that mimic Star Wars flight patterns, such as forward moving corkscrew rolls and innovative reverse propulsion drone technology means the ships fly in the most lifelike way. As the excitement builds, legions of Star Wars fans and drone owners will be heading to ‘Propel Star Wars Drones’ – a dedicated Facebook page where pilots can receive additional training content, tips on how to fly and win in real-life dogfights, and a chance to meet other pilots to co-ordinate battles. Darren Matloff, CEO of Propel says, “For almost 40 years, countless Star Wars fans new and old have dreamed about piloting their very own starfighter and with the new reverse propulsion drone technology from Propel they’re finally here! 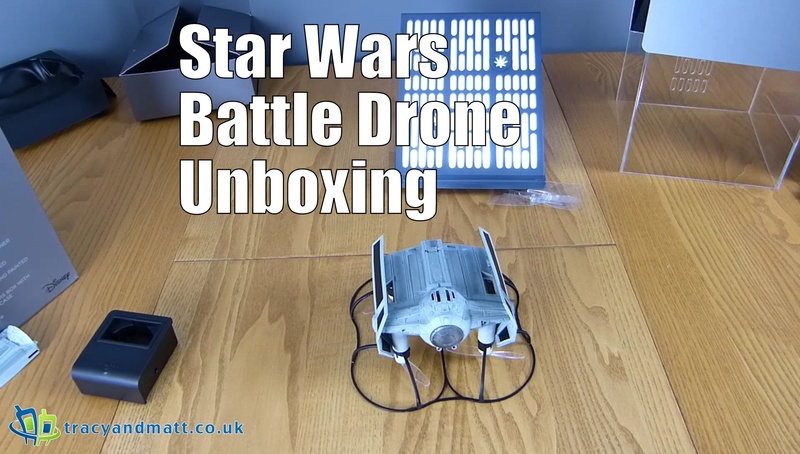 We have developed twelve new patent pending technologies in an effort to create a truly immersive user experience with the drone that can manoeuvre through the skies untethered in a highly accurate representation of how these Star Wars craft are supposed to fly”. The first editions are RRP £229.99 and are sold in a wax-sealed special edition box which arrive on shelves at Maplin, Currys, Argos, Disney Store and Hamleys from the beginning of December 2016. Never afraid to try new things, Archos have ventured into the growing market of Quadcopters and released a Drone. The lightweight nature allows it to fly around easily and rapidly. For the most daring of you, preprogrammed figures will allow you to try new things such as a 360-degree flip. 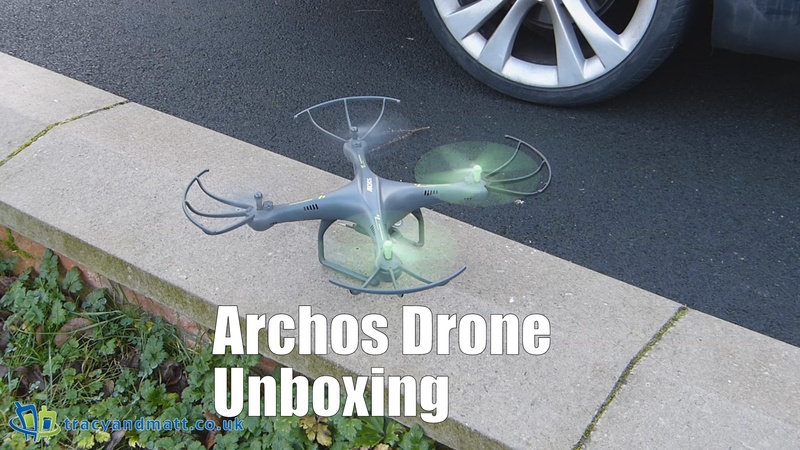 The ARCHOS Drone is also capable of reaching a 25km/h max speed and can fly as high as 50 meters. Fly high with the ARCHOS Drone! Equipped with a camera, the ARCHOS Drone is capable of filming HD videos. Use your smartphone (Android and iOS) to control your ARCHOS Drone thanks to the ARCHOS Drone Remote app, available on Google Play and on the App Store. If you’d rather control your ARCHOS Drone with a remote, that’s also possible! The Archos Drone is available now for £89.99 from Archos directly. There have been hearing rumours for some time, however, Kodak Ektra is arriving…now! With little build up or pre-release material, the Ektra puts photography first. Much like feature phones from years gone by Kodak it hoping their smartphone will rekindle some of those nostalgic moments for Kodak enthusiasts. 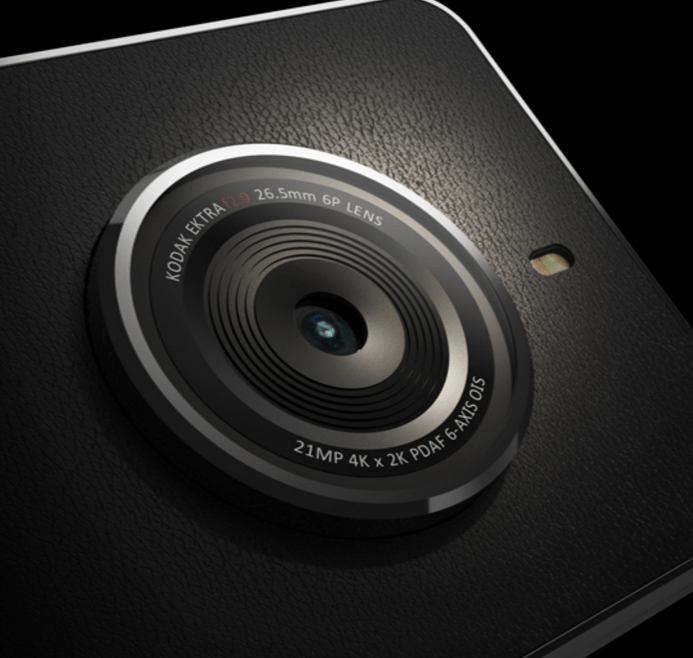 Their new ‘photography first’ smartphone is designed to appeal to mobile photographers, perhaps those who are looking to the LG G5 CAM Plus and Hasselblad True Zoom Moto Mod. Designed to look like a camera from one side and a phone from the other, the Ektra includes a 21MP rear camera, a 13MP front camera, and features such as an F2.0 maximum aperture, phase detect autofocus and optical image stabilisation. Additionally, Google’s Snapseed editing software is integrated directly into the photo gallery app. Spec-wise there’s a deca-core MediaTek Helio X20 processor, 3GB of RAM and 32GB of expandable storage, a 5 inch, 1080p display, a 3000mAh battery that supports “Pump Express” quick charging and Android 6.0! The Ektra, is built by the British manufacturer Bullitt, which has previously made phones for the likes of JCB and the Ministry of Sound. The Ektra phone costs £449, runs Android and due to be listed tomorrow on Germany’s Amazon store priced €499, but The Irish News is reporting that it has already gone on sale at a pop-up store in London. 21MP main camera with Kodak non-reflective lens coating. Aperture f2.0. Optical Image Stabilization and Auto Focus. Phase Detection Auto Focus (PDAF) & HDR Imaging. 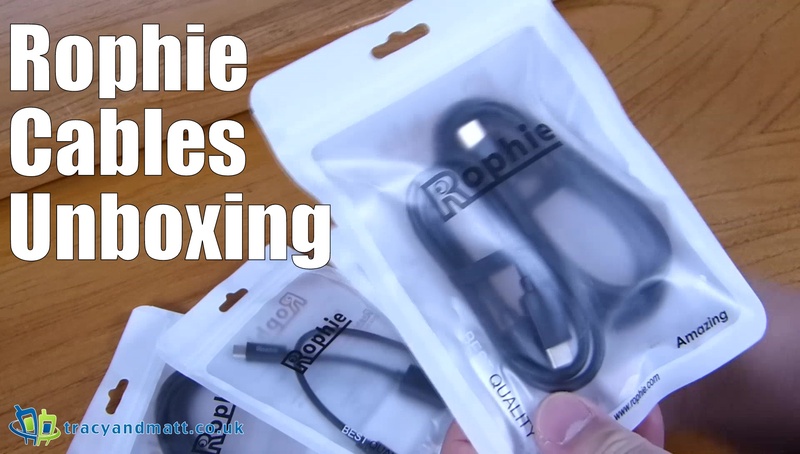 Rophie have sent over a selection of their cables. From USB-C to various connectors Rophie are sure their durability with impress. Here we have a look through several of their best selling versions and things are more impressive than they might appear. The market is saturated with devices. 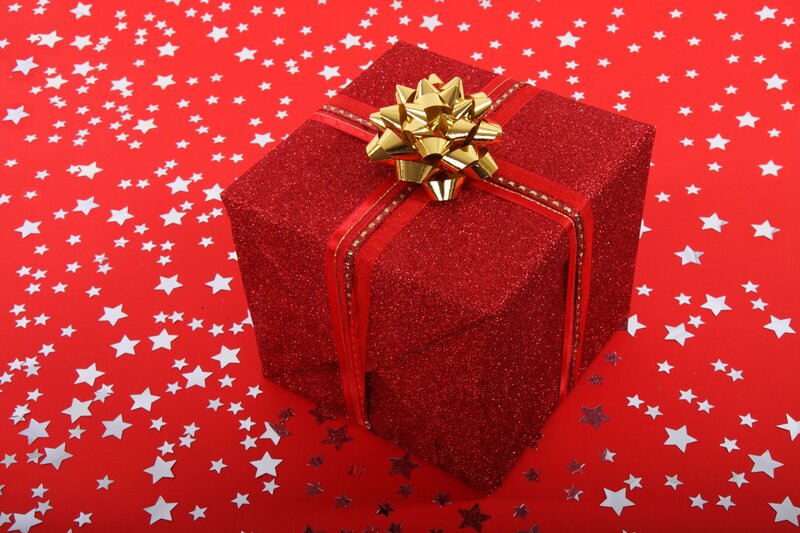 Here is a look at what we recommend for those Christmas ideas and where to get them at a great price. The last few generations of this phone have been one of the most recommended devices out there. Moto has got the balance of hardware and low price just right and it’s hard to find some who has bought one dropping anything but praise on the device. John Lewis are selling the Moto G4 for £159.99. Of this little list, this is the only one with a 720 screen, however, the Wiley Fox Swift 2 is another perfect balance of style, performance, and hardware. Some have complained that the camera might be merely serviceable, however for the money everything here is a winner. Amazon is selling the WileyFox Swift 2 for £119.99. Honor phones feel as is they are trying to sit midway between Apple and Android, appealing to both. They are almost successful. The grandeur of the Emui OS adds a great deal to the phone’s presentation. Combined with smooth performance and an agreeable price, the Honor 5X is great value. Ebuyer is selling the Honor 5X for £167.98. The Honor 8 is exceptional value for money, depending on when you purchase it. During sales, the price can drop below £300 making it easily one of the most recommended phones of the year. That camera combination is one of the best on the market and really only slightly surpassed by the iPhone. It is safe to say, in any colour, the Honor 8 is the best-looking device of 2016. An oldie, but a goodie. The Nexus 5X still has a bit of time left before Google will drop it off the update radar and the pricing has dropped to make it a steal. Naked Android with LG’s hardware makes a top-notch Android device that other manufacturers have yet to top. The little phone that dared. The OnePlus 3T is an improved version of the OnePlus 3. Taking everything that was criticised about the 3 and fixing it. However, the Oneplus X steals the thunder here, not only because it’s such a low price, but because the specs are fantastic. The 3 is almost £150 and the 3T £200 more. Apple hasn’t reinvented the wheel for some time, however, they know how to put together a solid package that people can rely upon. Their boldest move has said goodbye to the 3.5 mm headphone jack, thankfully, aside from this, they have stepped everything up half a step over last year. It’s hard to deny this phone just works and looks beautiful. However, you will pay for the privilege. Apple prices can be set in stone, however using code KRUQT can grab £15 cashback with Very. With much hesitation, I place this device on the list. Why? This is the overpriced Nexus successor, and now the only way to get all of Google’s greatness straight away. A phone that really doesn’t have any of the beautiful stylings manufacturer HTC are known for. Google has won us over the Nougat, however, the Pixel hardware adds little to experience. You are paying for a name. Google Pixel prices start at £599 and go up. You can look but you won’t find them going down. The forgotten phone of 2016. One of the best examples of looks and hardware, the HTC 10 is almost perfect. It seems like HTC is making one last ditched effort with their Flagships over the last few years and pouring in their heart and soul and no one is watching. This is simply a wonderful handset. Like their phones, Apple knows their way around the tablet now. Where Android tablets are generally used as a secondary device for media on the go, Apple still focus on the tablet as a productivity device and it’s working, the Air and the Pro versions are used by most professionals. The Pro 9.7 sits right in the middle between the Air and the 12.9 Pro becoming Apple’s most perfected tablet so far. When considering a Windows 10 tablet, you really need to go to the top end to get the best experience. Hardware matters with Windows. The Surface Pro line is a shining example of how well Windows can run and how powerful an operating system it can be. Argos have the Surface Pro 4 for £599. Incredible price. Asus are putting a huge amount of effort into their products right now, and deserve to be noticed. The ZenPad 3S is pretty amazing and one of the best Android tablets out there. Wafer thin, dazzling display and packed with enhancements and features. The Asus Zenbook are looking at Apple and bring the MacBook experience to Windows 10 at a fraction of the price. A beautifully lightweight design coupled with powerful innards and a great selection of customisation for the consumer mean the Zenbook is the best option if you are not interested in paying Apple prices or are invested in the Windows ecosystem. A super deal has popped up on Amazon.co.uk. 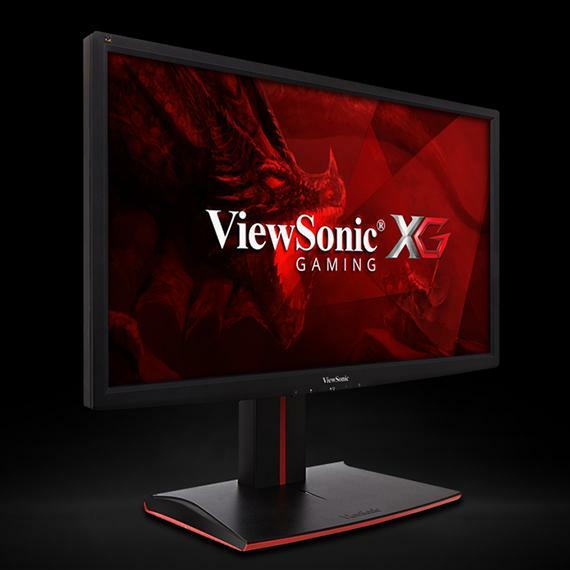 whilst, this isn’t the first time this screen has been available at this price the ViewSonic XG2401 is considered by some as the best 1080p 144Hz Freesync monitor available right now. Currently priced £189.99 this Full HD monitor features fast pixel response time, especially at 144Hz and outstanding image quality for a TN panel. The ViewSonic XG2401 is a 24″ (23.6″ viewable) Full HD monitor packed with all the speed and features that die-hard gaming enthusiasts need. Featuring an incredible 144Hz refresh rate and AMD FreeSync technology, this monitor’s variable refresh rate capabilities virtually eliminate screen tearing and stuttering for fluid gameplay during fast-paced action scenes. A blazing-fast 1ms response time and low input lag provide smooth screen performance even in the most graphic-intense sequences. For optimum speed and performance, SmartSync technology automatically selects the best refresh rate and response time, and lowest input lag needed in FPS games. For a game-winning competitive edge, ‘Game Mode’ optimises visuals for FPS, RTS and MOBA. On top of that, a black stabilisation function helps you target enemies lurking in the dark, while the monitor maintains brilliantly rich colour and contrast. With a gamer-inspired ergonomic stand that features an integrated headphone hook and cable management functionality, the XG2401 has all you need to conquer your gaming and entertainment quests. 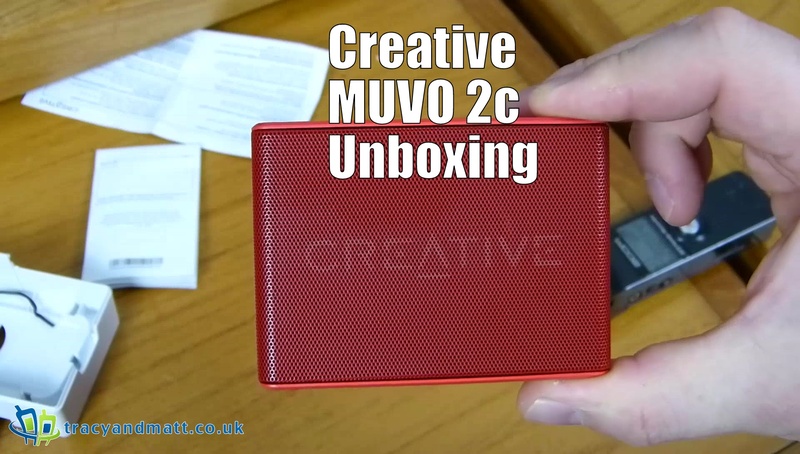 The Creative MUVO 2c is a neatly priced Bluetooth speaker with some killer features. Firstly, the speaker is beautifully compact. Easy to throw in a bag and produce when needed. The stylish design with turn some heads, however, it is the compact size that really impresses, so much sound from such a tiny device. Secondly, your are good, where you use it. The MUVO 2c is splash resistant meaning it will sit by the pool or on the beach and you don’t have to give it a second, though. Thirdly, the tunes will keep coming. Not only does it have a 6-hour battery life, it also can connect to almost anything, Bluetooth, MicroSD and an Auxiliary input mean there are a tonne of options. All this makes for the perfect package this Christmas, and at only £39.99, there really is no excuse. Featuring a water-resistant outer shell, the compact Creative MUVO 2c lets you take your epic tunes through your life’s adventures. With a 6-hour battery life and a size that fits in the palm of your hand, you can play your music out loud anywhere beyond your imagination. Connecting to the MUVO 2c is simple. Simply connect via a host of input sources including Bluetooth connectivity. You can also connect two MUVO 2c speakers together wirelessly to enjoy a wider stereo experience and bigger sound performance. The MUVO 2c is available in four colours. Complete with a rubberized finish, the tactility makes the speaker easy to grip in your hand. Win yourself some Skull Limited Edition Wraps with The Tech Addicts Podcast! Some new Special editions will be available for a limited time! With the Berry colour being very Christmassy and a bit reminiscent of a candy cane these are the perfect gift. Wraps are giving away a pair of the extra snazzy Skull Limited Edition Wraps. Using Wraps earphones has fast become as much about how good you look wearing them as it is how good they sound. The new rainbow, berry and skull Wraps are no exception. Not only do the earphones look and sound great, they also solve the daily frustration of those that are easily broken, tangled or lost. 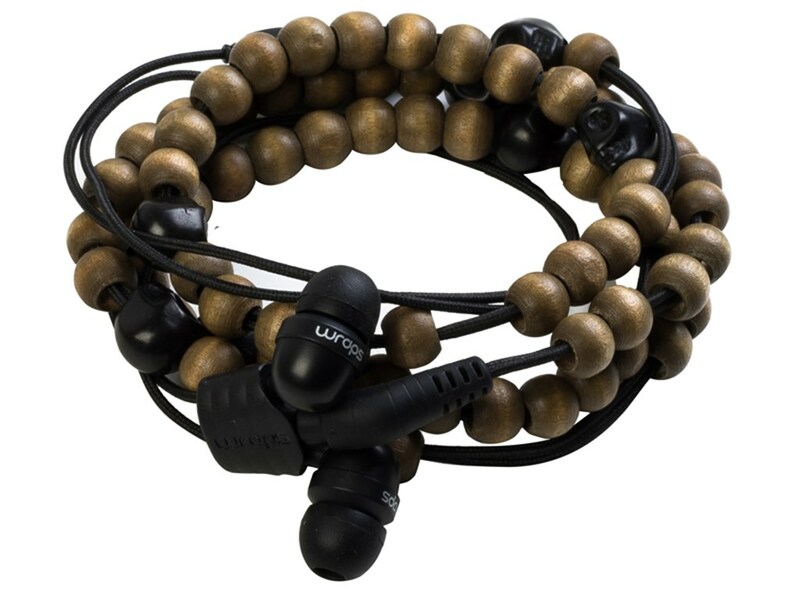 Wraps solves 3 inherent problems all earphones have: storage, anti- tangle and style simply by enabling you to wear them on your wrist whilst you’re not using them. #WearYourSound with pride and bring your outfit to life while also having your favourite music ‘on hand’ whenever you want it. To enter, all you have to do is follow Tech Addicts on Twitter and retweet the following tweet: “RT I want to win some Skull Limited Edition Wraps headphones with @techaddictsuk. You could too: http://wp.me/p7q35G-Fd” You can also click the retweet link below to save you copying and pasting the phrase. Your twitter name will be entered into the draw. The Special edition will match the specifications of the current ‘Talk’ range, featuring a universal one button microphone. Stylish and functional: you can answer a call, play or pause your music and skip tracks all without having to dig into your bag or pockets for your device. Compatible with all smartphones and tablets. Available from £19.99 from www.mywraps.com. Your twitter name will be entered into the draw. You’ll have to keep following us as we’ll notify winners via DM. Entry is open until midnight on the 20th December 2016 and the winner will be picked on the 21st December. We’ll contact the winner via twitter so make sure that you are still following us! Good luck and get tweeting! With ambassadors like Kim Kardashian, Ellen DeGeneres and even well-respected politicians, the world has become obsessed with taking ‘selfies’ – we average at around 1.2 billion selfies a year, here in the UK. 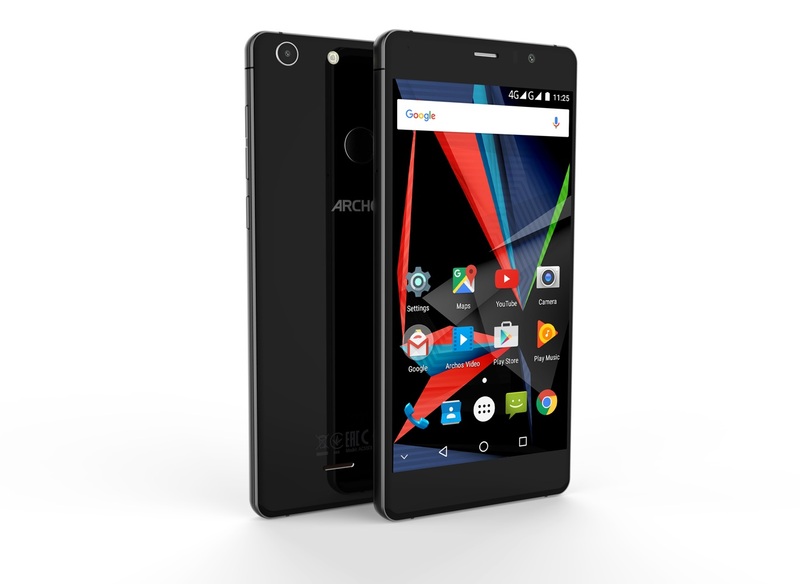 With the ARCHOS Diamond Selfie, you can take full advantage of the smartphone’s dual cameras, equipped with large megapixels and flash bulbs on both the rear and front camera – to get the best lighting in even the worst conditions. With 4G connectivity, you can upload your snap to the wider selfie society, across social platforms at super-speed. If you’re not a fan of the selfie craze – don’t panic – this all-encompassing phone can also be used with VR glasses, to fly drones and hunt Pokemon, if that’s more your thing. Stuck for ideas for a Christmas present for that someone special or just looking a cheap but fulfilling stocking filler? You can never go wrong with a pair of headphones and with a price tag of around £23 from Amazon these Choetech wireless headphones could be the answer you are looking for. Once you go wireless it is frustrating to go back to wired headphones. I have been using various wireless headphones for the past few months and have found them to be most advantageous. Listening to music gives me the get-up-and-go to get the house cleaned or tackle the garden shed when needing a clear out. Using wireless headphones gives you the freedom to get more done, quicker and without the struggle a wired connection can bring. Check out the unboxing of the Choetech Wireless headphones here with Gareth. 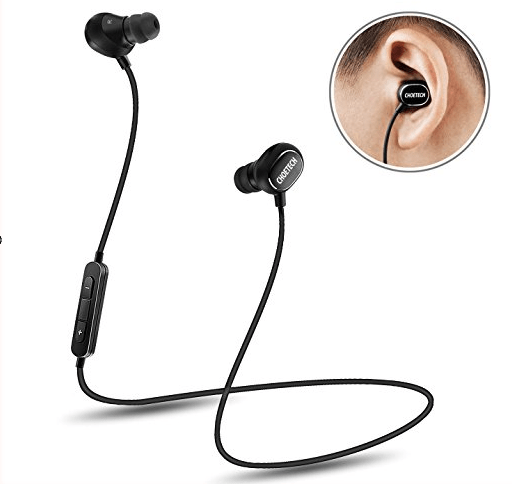 Out of the box, the headphones feel premium, notably, the ear pieces are smaller than other wireless headphones as there are added in-line controls to the lower of the right earpiece. The headphones come with various ear tips and hooks, so if you have petite or giants ears like me these will ensure maximum comfort. The in-line controls allow you to adjust volume, skip tracks and between the volume rocker, there is a multi-function button which acts as the power button, answer call button, and tap for Google search. There is also a microUSB connection is for charging the headphones. When there is an incoming call the headphones vocalise the number to inform you who is calling, which is a nice feature. One push of the multi-function button allows you to answer the call, a long press on the multi-function button will cancel the call. These features help minimise the interruption during exercise and are extremely useful to have. When the battery is running low, after you hear the first warning, there is approximately ten minutes of usage left before you will have to recharge. The box recommends a charge time of two hours, however, I found that I got a full charge in an hour. The audio quality with these headphones is great, audio is clear and crisp with the only distortion happening when you move around 10 metres away from the device you are connected to. I recently used these headphones whilst training for an 8 hour Spin-a-thon and had no issues with them. The Choetech Wireless Headphones have really impressed me and I would definitely recommend them to anyone for their own use or if you are feeling generous a Christmas present that someone will actually like.